I’ve tried to search for this book using keywords and quotes on Google, but I couldn’t find it. In this book, three teenagers, a boy and two girls, find a lost spaceship that was camouflaging itself. They find four headsets in the spaceship, and put the first three on. Over the next few days, they gain special powers from the alien ship. The boy gets a kind of super strength. One of the girls gains the ability to do math super well, and the last girl... well I forgot. They all have exceptional strength and intelligence as a result of the headsets; its just that they have a specialty. Another human, the antagonist in the story, had made a black hole, and theorized that the only way to get rid of it was to put it through a portal into another world, but he was under influence from some alien race, which were waiting at the other side of the portal to take over humanity. The three teenagers, with their superpowers and the training of some mentor, stop the aliens from taking over Earth, and also are able to shove the black hole through, destroying the aliens’ world. The girl whose power I didn’t know dies, though. And also the aliens have nanobots in their bodies. 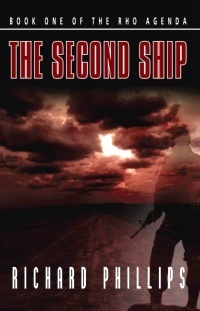 I think you are describing a book by Richard Phillips, "Second Ship", Book 1 of the Rho Agenda. While I can't find a really good descriptive narrative (I did find this synopsis) to corroborate all the elements, enough fit that I think it's a good match. New powers - Check. Technology in the ship changes the teenagers. I couldn't find a description of the aliens or the powers, but given the bits and pieces I found in various summary blurbs, I think it is a good candidate. Not the answer you're looking for? Browse other questions tagged story-identification novel soft-sci-fi nanotechnology or ask your own question. Trying to find a kids show about three kids with superpowers?